You can always count on Everton to bring you back down to Earth, can’t you? Bah humbug. A ten game unbeaten run, inspiration provided by some young talent, and a home game against a side that hadn’t won away all season, hadn’t won at Goodison since 1996 and are bottom of the league was nailed-on for another morale-boosting three points. And it all went to pot. Kinell. We can get hung up on the blame game – Osman’s ridiculous slip, Howard’s desperate lunge, over an hour of frantic chance-making. There was all sorts wrong with it, but the incredible dominance of the ten men left on the field provides the most possible cheer you can get out of a dismal home defeat most would’ve put their houses on you winning. Gus Poyet called us the best team he had faced while Sunderland boss, and Roberto Martinez reckons that sort of football will reap dividends in future matches if we keep it up. Well, that’s grand – and Poyet can put on the charm all he likes with three points in the bag – but there were some definite issues. Firstly, a few players have gone right off the boil. We haven’t yet seen the Kevin Mirallas that was tearing up defences before a buck-toothed diving ******* that shall not be named thought it wise to stamp on his Achilles, while Steven Pienaar and Leon Osman have reacted to growing praise by going right off it again. Romelu Lukaku hasn’t scored for us since Stoke as well, which isn’t surprising when he’s up to his neck in defenders whenever the ball comes near him. Yet we all must have noticed how clear the improvement was in Lukaku’s – and Everton’s – play when Ross Barkley was introduced. That’s no coincidence. Look into those eyes and say that we’re done. Go on, try it. Barkley was most likely rested with Southampton in mind, and – just to compound the misery of our first Boxing Day defeat since 2005 – we lost Tim Howard and Gareth Barry to suspension. Mirallas is a doubt with illness too. And we’re up against a side that just went to Cardiff and did what we couldn’t do. Three times. Two successive home defeats would be truly lousy after 363 days without a Goodison loss. But I always try to see the bright side – and the big, glaringly obvious, so-clear-that-even-Wayne-Rooney-could-spot-it-with-some-prompts point is that we’re 5th in the Premier League. Fourth, who travel to Chelsea next, are two points ahead. Sixth host league leaders Arsenal. Our opposition have one victory in their last seven. And Ross Barkley’s nailed on to start. So let’s move on from that Boxing Day horror show. Here’s to another year (there or thereabouts) unbeaten at the Grand Old Lady. It’s all well and good mourning a defeat we felt was a home banker, but remember how you felt at the start of the season looking at Manchester United and Arsenal in successive away games. Football has a funny knack of balancing itself out at times. So there’s the matter of the line-up. Joel Robles has the chance to prove to us that the 99%-impressive Tim Howard should feel threatened by his deputy. With any luck he’s got Mucha-itis, a la Man City 2013, rather than Mucha-itis a la Chelsea in the League Cup 2011. 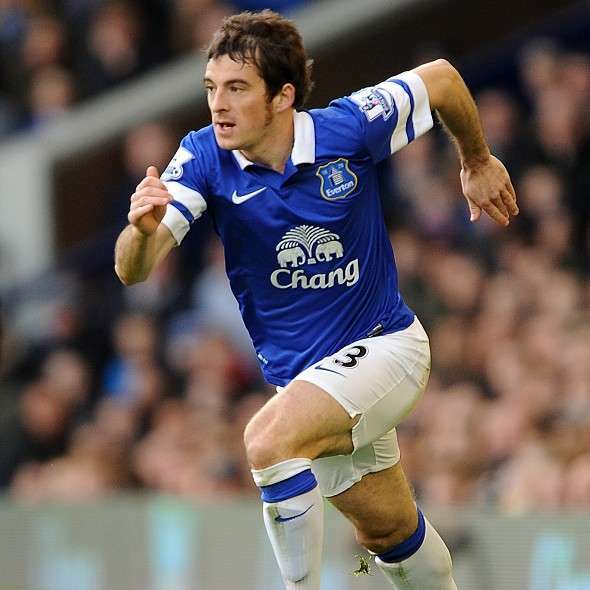 The defence could well change as well, because Leighton Baines should be back. Dead harsh on Bryan Oviedo, but the worst case scenario for the Costa Rican is that he goes back to the bench with the manager and fans fully aware of his ability to play and make an impact. Whisperings about one of them playing in midfield will die down, but it’s an option Roberto Martinez will take if it’s necessary. Oviedo’s grand, but we’ve missed Baines’ crossing and all round boss play. 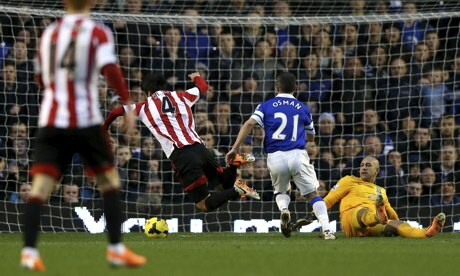 Lukaku will be delighted to see the ball arrowing towards his head with that trademark Bainsey whip. Gareth Barry will be a huge loss in the midfield, but James McCarthy has got the nous and now the experience of playing alongside him to know the job well enough. Ross Barkley will return, while Steven Pienaar takes his regular place on the left. Supposedly. So what about the rest? 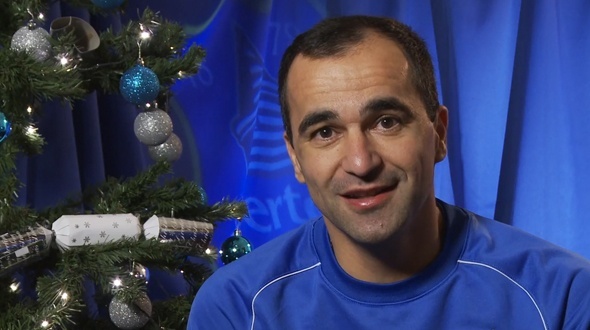 Barry is definitely out, but Leon Osman and Kevin Mirallas could well keep their places. If they don’t, who comes in? I’m actually a bit of a Stevie Naismith fan – or defender, at least. He offers plenty of work and wants to attack, which is always good. He’s not the quality of a team gunning for the top 4, but apparently Iago Aspas is a member of a title-challenging side, so who’s judging? Johnny Heitinga’s the only other option, unless Roberto Martinez fancies bringing in Stones, Alcaraz or Jelavic and making a major tactical change. Our opposition, Southampton, started the campaign by conning the viewing public into thinking they were a wholesome family club playing above their pay grade in a happy-go-lucky, Mary Poppins way. The fact their ruthless Italian owner had ditched their old happy-go-lucky, Mary Poppins boss and used the summer to run up a bill Nigella Lawson and Charles Saatchi would raise their eyebrows at was somehow lost on people. The bubble has burst somewhat, but Premier League football looks like it will stay at St Mary’s for a while. And that’s a good thing. Mauricio Pochettino, formerly “that bloke what gave us a penalty at the 2002 World Cup like”, is instilling a positive style at the club – which builds on the work Nigel Adkins started. Like Michael Laudrup and Swansea, they’re a real credit to what used to be the classless mire of the mid-table. Now you can expect to turn up and see two teams committed to good football – unless you’re watching Aston Villa vs Hull. As some poor sods have done. Not only that, but Southampton are leading the way in putting class young domestic talent out on the pitch. That’s a real credit to Pochettino and the way Southampton develop their academy products. With any luck, we’ll see a Sunday spectacle which isn’t blighted by the events of Thursday. They’ll put out a side which is beatable without too much stress – if we had our strongest XI out there. Gazzaniga, Chambers, Shaw, Yoshida and Fonte formed the defensive line against Cardiff, and Jos Hooiveld could return to the starting line-up at Goodison. That’s a back five which we certainly should not fear. Schneiderlin and Cork are the Barry and McCarthy of the South Coast, but like us their partnership is only half complete with Schneiderlin suspended. ‘Tis the season and all. Lallana is class and the optimists trying to get him to Everton are probably going to have to wait on that one. Ramirez, Davis, Ward-Prowse, Lambert and Osvaldo (the latter is a doubt) may or may not turn up, based on how much time our defence gives them. There’s no doubt that Boxing Day was the nightmare after Christmas, but a win and a recovery here against a high quality side would mean we can head into 2014 with some optimism and – with any luck – a place in the top 4. We all knew that classic Everton let-down was coming, and although we were surprised at the timing, the challenge that follows will truly define if we’re up for it or in one hell of a scrap to secure an away day at Dnipro Dnipropetrovsk. We’re made of sterner stuff than we’re given credit for. Everton, aren’t we.